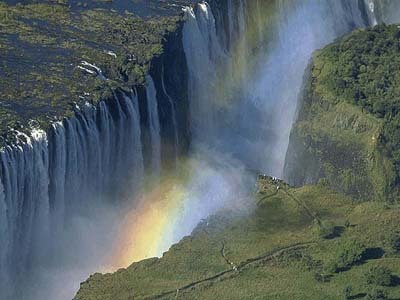 The proposed 800-megawatt Batoka hydroelectric plant near Victoria Falls won’t be built until Zimbabwe pays Zambia for debts incurred more than 50 years ago, the Daily News reported, citing Tapiwa Mashakada, Zimbabwe’s investment minister. Zambia says it’s owed money from when Britain, then the colonial ruler, created the Federation of Rhodesia and Nyasaland in 1953, the Daily News reported. Mashakada declined to comment on the size of the debt, saying only that Zimbabwe had agreed to pay it, according to the newspaper. Zambia was named Northern Rhodesia until it gained independence from Britain in 1964, a year after the federation was dissolved and a year before Southern Rhodesia’s Unilateral Declaration of Independence. Nyasaland also gained independence in 1964, when it became Malawi.